Every new project brings with it an inheritance of some sort—a blessing or a curse. 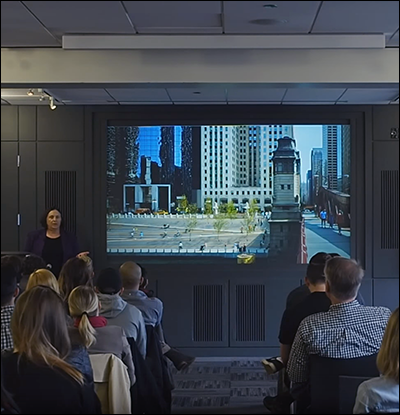 Carol Ross Barney is the Founder and President of Ross Barney Architects, who led the redesign, in collaboration with her associate John Fried, of the pedestrian space along the Chicago River, stretching from Michigan Avenue west to Lake Street. Launched in 2009, Phase 1 provided a continuous river-side path from State Street to the lakefront. Phase 2, between State Street and LaSalle Street, was opened to the public during June of 2015. Phase 3, from LaSalle Street to Lake Street, is expected to be completed in 2016. This project, at a cost of $175 million, came with a potent architectural history, amplified by numerous legal and political challenges. 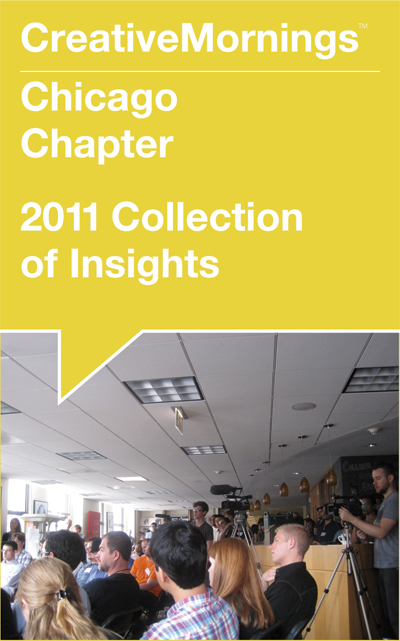 She spoke about this grand effort, bound to an inherited past, at the 51st monthly gathering of the Chicago chapter of CreativeMornings at the end of March 2016. Barney and her design team inherited more than a century’s worth of history—an “odd fork.” Inheritance of this kind is intimidating. Barney spoke of how she advanced her studio’s collective vision, coping with bleary layers of legalities, technicalities and politics. 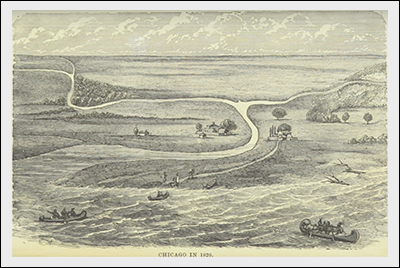 In navigating a detailed workflow for a complex project, Barney and her collaborators kept returning to a common question: How can this physical set of circumstances, an inherited space, be repurposed for the enduring benefit of Chicago’s inhabitants? Based on the video concluding her talk, the multi-phased results look fantastic. It’s remarkable to see architectural renderings become architectural reality. Each waterfront block or, as put by Barney in the project’s lingo, “room”—defines a distinct waterfront activity, from kayaking to resting to fishing. Big thanks: to Leo Burnett Department of Design (Host), Braintree, Green Sheep Water, Lyft, for being Partners of Chicago CreativeMornings #51; to organizers Kim Knoll and Kyle Eertmoed who both spoke at Chicago CreativeMornings #7; to the team of volunteers for greatly helping to make CreativeMornings happen monthly in Chicago.